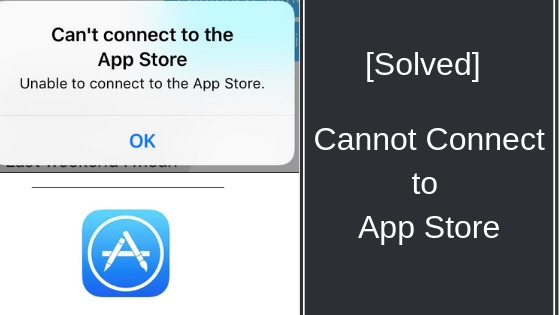 Are you getting error ” Cannot Connect to App Store ” on your iPhone /iPad ? Here’s how to fix & access App Store. The reason why you’re getting the message might be for following reasons as per official apple guides. Why Can’t i Connect to App Store? Answer: Change your Country/Region on your apple account. To remove this error message and connect to App Store to download apps, all you need to do is change country via iPhone or connect your phone to laptop ( itunes ) . Or you may also open iCloud.com and do make those changes. If you’re in another country apple might show you this error. You cannot access App Store unless you change your Region to current country where you’re in. How to Change Region on Apple account ? Save it & you’re done. Now, access App Store on your iPhone with no issues. Some users face this issue even remaining in same country. For those people, please check if there’s any changes in Country section. Hope it helped you. If so, do share it with your friends on Social Media.